Good morning, friends and family! Humming Bird here! Man, camp sure is different without our campers! The swings are sitting quietly, the tetherballs hang limp in the still air, and the torches lay cold in the International House. The campers are gone, and our Valley begins its patient slumber until the beginning of the next season. On behalf of everyone here at camp, we would like to thank you for sharing your campers with us this summer. They have each contributed their talent, compassion, humor, and light to our community, each member of which is personally responsible for the magic that we all saw and felt this summer. Thank you, folks at home, for allowing your campers to create the experience with us! 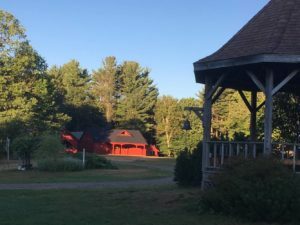 In the coming months of anticipation for next summer, you can expect to find updates about the exciting things happening at camp, so keep checking in with us here on the blog! And now I must fly off into the sunrise. Until next time!